9 days, 13h:47m:09s £4.50 Buy now! 3 days, 09h:51m:24s £15.00 Buy now! 6 days, 09h:47m:42s £4.99 Buy now! Sinclair ZX80 / ZX81 Fanzine: MONOCHROME (issue 4) 3 days, 08h:00m:46s £0.75 Buy now! Reversi Othello ZX Spectrum 3 days, 09h:16m:26s £4.75 Bid Now! Chequered Flag cassette on Zx Spectrum 3 days, 09h:29m:55s £4.75 Bid Now! Sinclair QL Puzzle Game: Double Block 3 days, 09h:49m:52s £5.00 Buy now! Sinclair QL Adventure Game: Aquanaut 471 3 days, 09h:49m:52s £8.00 Buy now! Sinclair QL (Digital) Box-Set - QL Games 2 3 days, 09h:49m:52s £15.00 Buy now! Sinclair QL Wargame: Grey Wolf 3 days, 09h:49m:52s £8.00 Buy now! 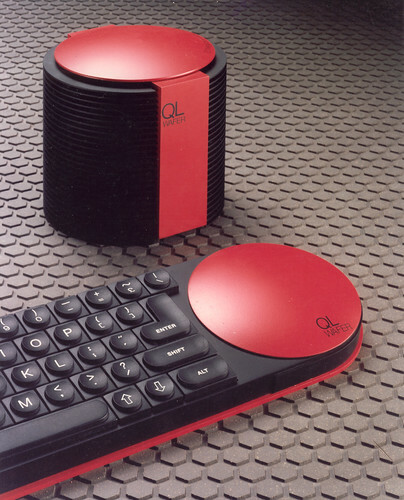 Sinclair QL (DIgital) Box-Set - QL Games 1 3 days, 09h:51m:24s £15.00 Buy now! Sinclair QL Adventure Game: The Prawn 3 days, 09h:51m:24s £8.00 Buy now! Sinclair QL (DIgital) Box-Set - QL Games 5 3 days, 09h:51m:24s £15.00 Buy now! 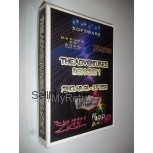 Sinclair QL Box-Set - QL Adventures 2 3 days, 09h:51m:24s £15.00 Buy now! Sinclair Microdrive Notepad (White) 3 days, 09h:51m:24s £1.00 Buy now! Sinclair ZX Spectrum Teenage Manic Miner T-Shirt 3 days, 09h:51m:24s £19.99 Buy now! 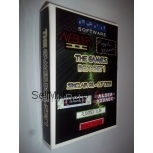 Sinclair QL Box-Set - QL Games 2 3 days, 09h:51m:24s £20.00 Buy now! Sinclair QL Arcade Game: Stone Raider II 3 days, 09h:51m:24s £5.00 Buy now! Sinclair QL Box-Set - QL Adventures 1 3 days, 09h:51m:24s £20.00 Buy now! Sinclair ZX / QL Microdrive Cartridge Cover 3 days, 09h:51m:24s £0.50 Buy now! Sinclair QL (Digital) Box-Set - QL Games 3 3 days, 09h:51m:24s £15.00 Buy now! Sinclair QL Strategy Game: Type 22 3 days, 09h:53m:27s £10.00 Buy now! Sinclair QL Wargame: D-Day MKII 3 days, 09h:53m:27s £10.00 Buy now!